Hope Services, our employment services program, is one of the best adult day programs in the state. 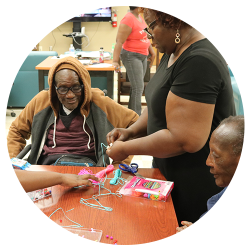 Partnering with the Charleston business and industry community, Hope Services provides people with disabilities the opportunity to learn work skills, earn a real paycheck, and participate in the life of the community. 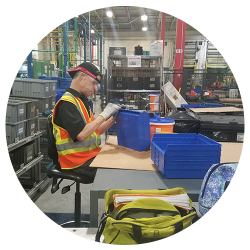 Through Hope Services, individuals with disabilities are provided an opportunity to work at competitive employment. A job coach works with each individual enrolled in Hope Services to identify interests, strengths, and needs for support. The job coach provides job development support to help each individual find a job, complete on–the-job training, and receive ongoing intervention and support for job retention. 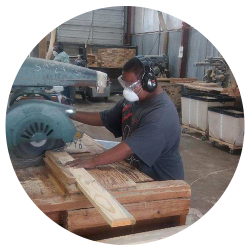 There are also a wide variety of vocational training and work opportunities for individuals with disabilities, individualized to each person’s needs and interests. For more information about the offerings within Hope Services, please call 843-805-5875 today. For more information, please call 843-805-5875 today.